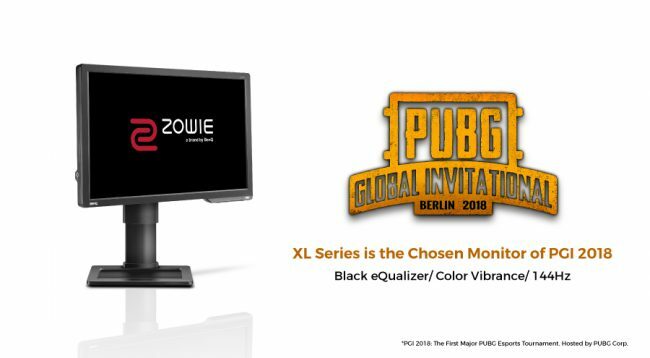 ZOWIE, BenQ’s eSports brand, has announced today that ZOWIE XL2411P monitor has been chosen as the tournament monitor of PGI 2018. PUBG GLOBAL INVITATIONAL 2018 is the first major international tournament which will take place from 25th to 29th July at the Mercedes-Benz-Arena, Berlin. The tournament is organized by PUBG Corporation and will feature the top 20 teams from around the world competing to win a piece of the $2,000,000 prize pool, the largest to date for PUBG as stated by Benq in its press statement.